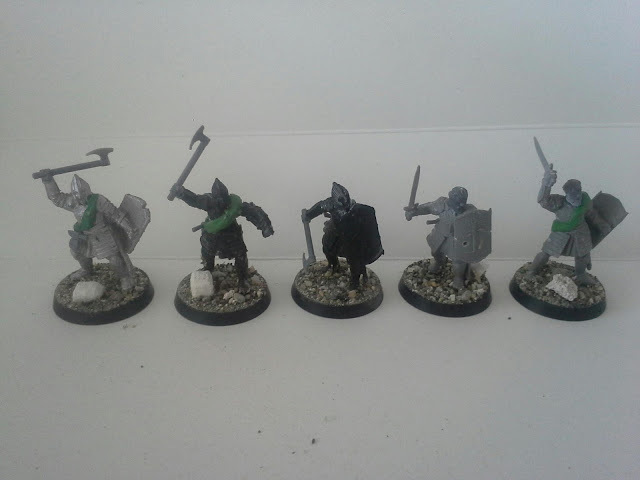 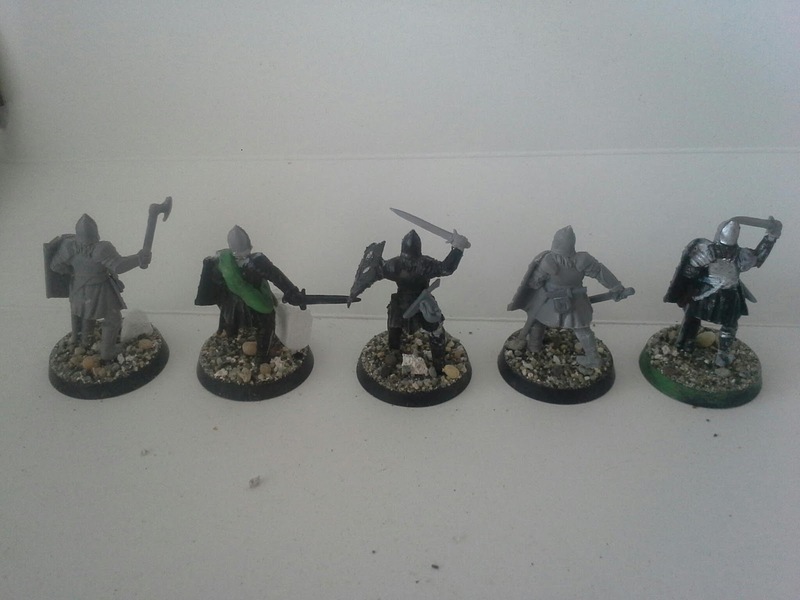 Ive been converting up some Osgiliath veterans for a Hobbit sbg force over the week. 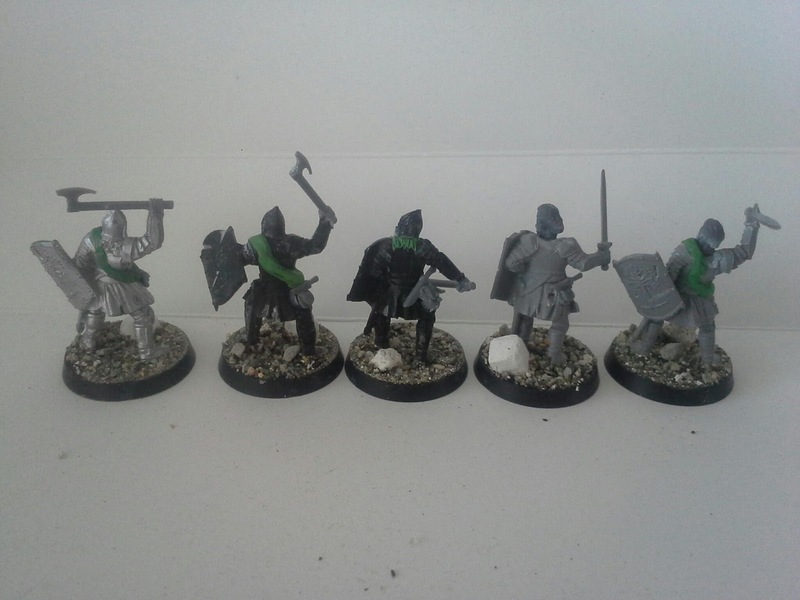 I took a trip to my local hobby store but was disappointed to find they didnt really have what I wanted, more green-stuff for converting and a couple of common paint colours (they no longer stock vallejo either so i had to get something from a limited selection of GW paints :/ in future il go to the model store). I did however come away with a new box of eagles which im looking forward to adding to my Elven army (plus beorn, gandalf and rangers of the north etc). 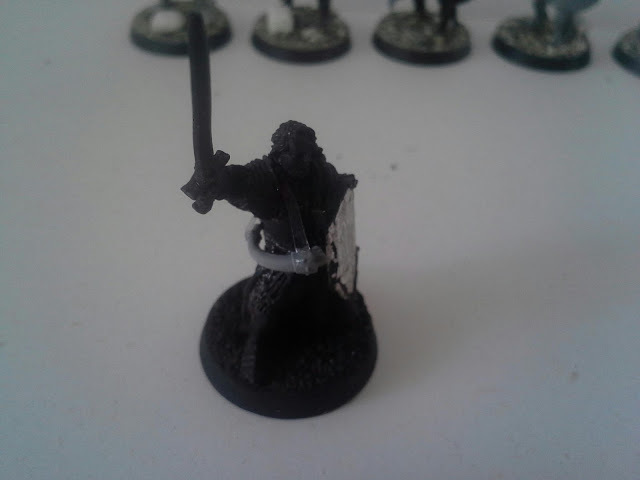 The Imrahil model ive converted to hold a horn as i intend to field him as Erkenbrand (well... gondors equivalent) so even though my paint scheme may include some blue and gold with the usual silver/black gondor scheme, il try to shy away from the blue and maybe use white so to differentiate him from the normal Dol Amroth scheme. 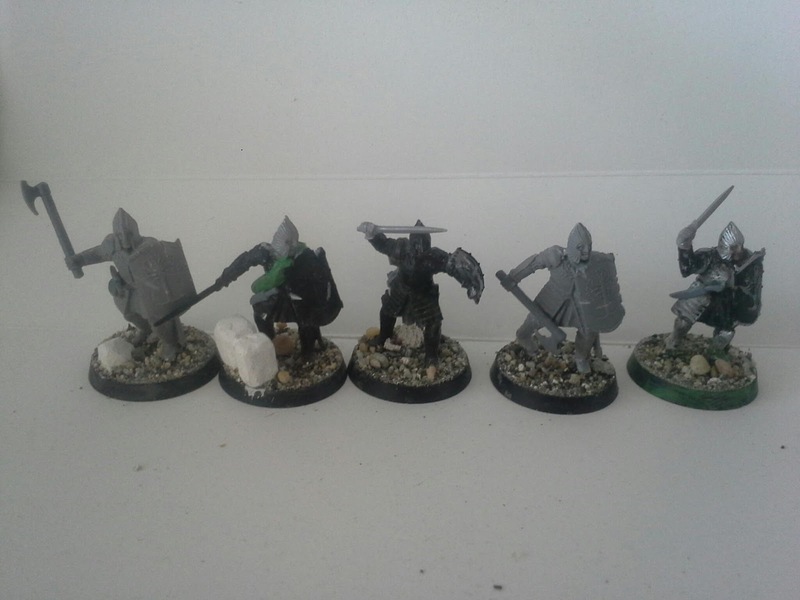 As far as the converting went, i became rather limited after running out of green stuff, so theres the usual chop and glue for some pose variety but also a lot of hacking for battle damage and clothing wear and tear, plus I had some gripping beast bits (heads and war gear) that ive added. 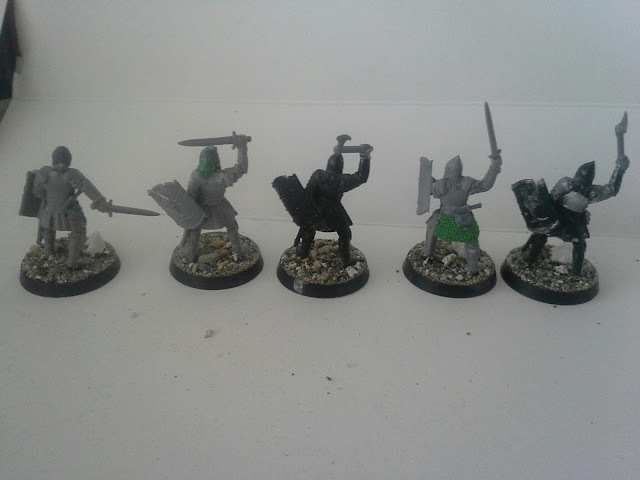 Converting stuff iv done before but sculpting is very new and im keen to keep upskilling in it. 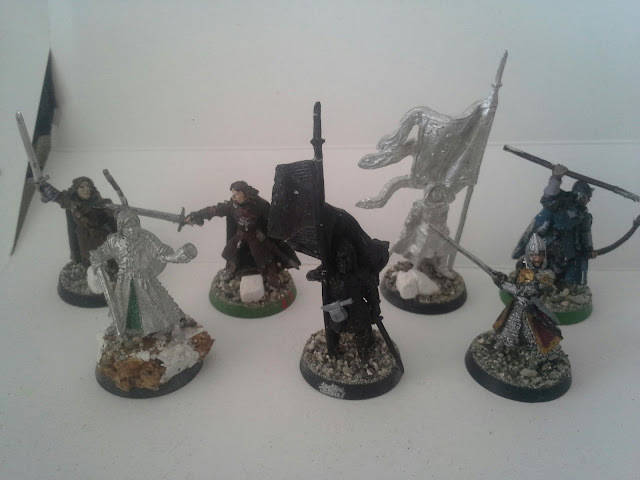 I got a little inspired by the Gondor army in the Hobbit sbg rulebook, its very well painted and has a little character to the scheme, also from this painter from the painted models photo, i love the basing and very much fits my theme, id do something similar with mine except perhaps a little more stoney. Merry Christmas Andy. 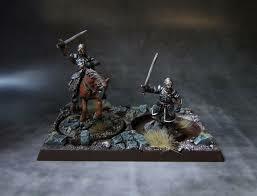 I am envious of those Eagles, very cool models.